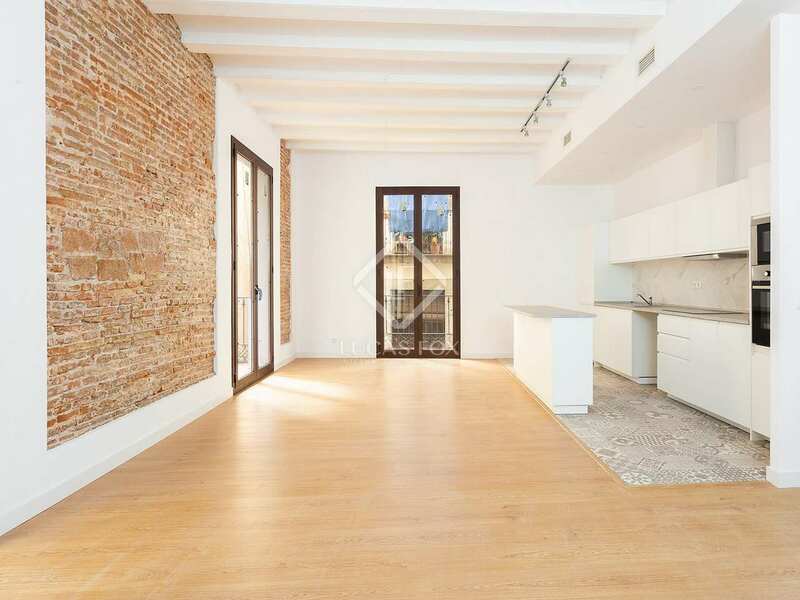 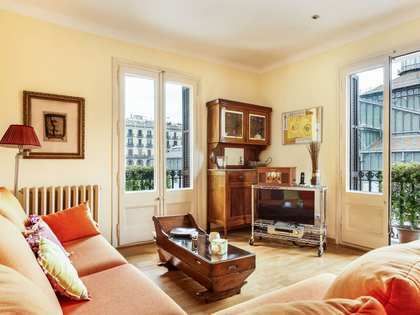 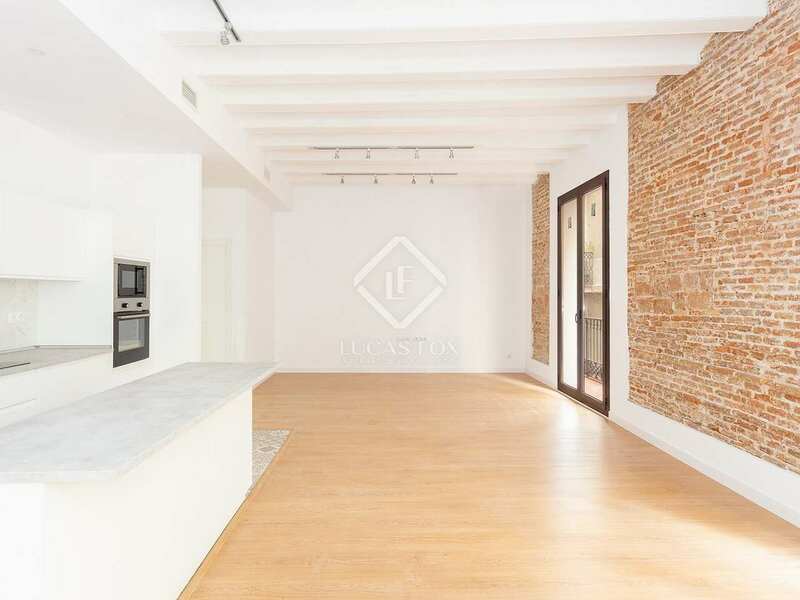 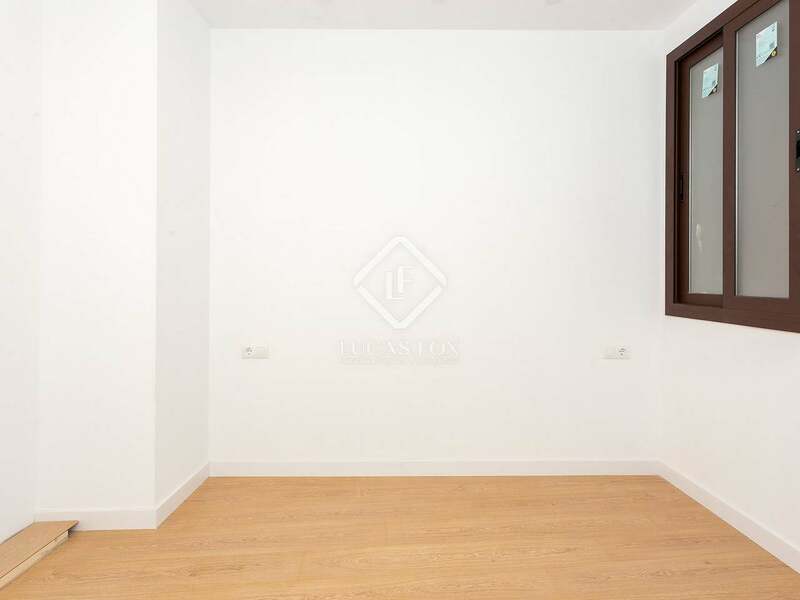 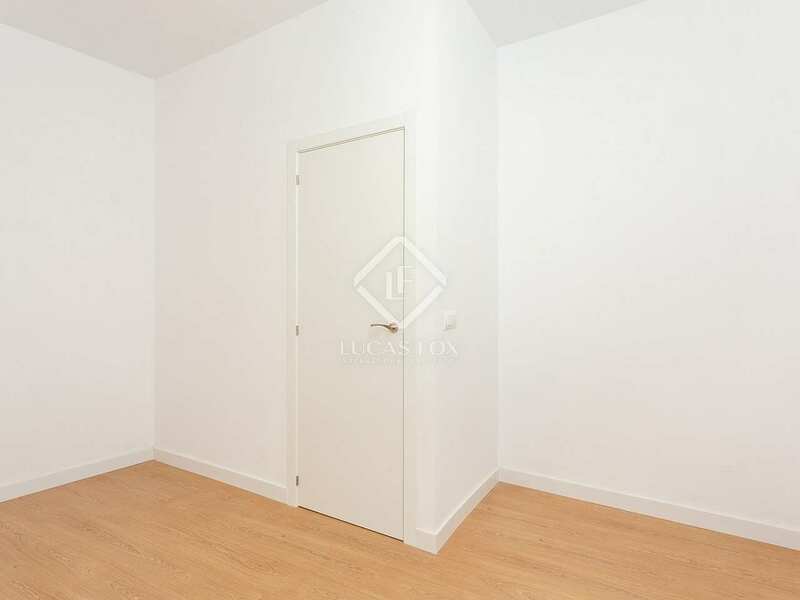 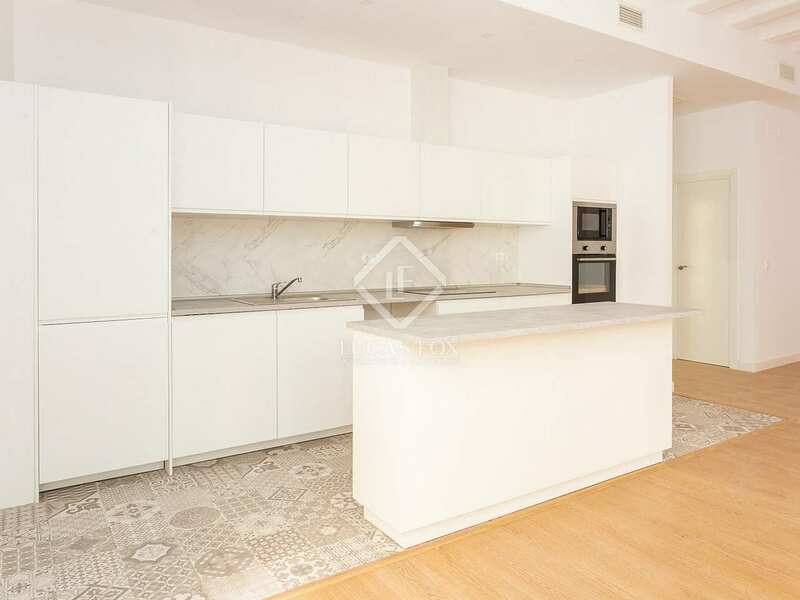 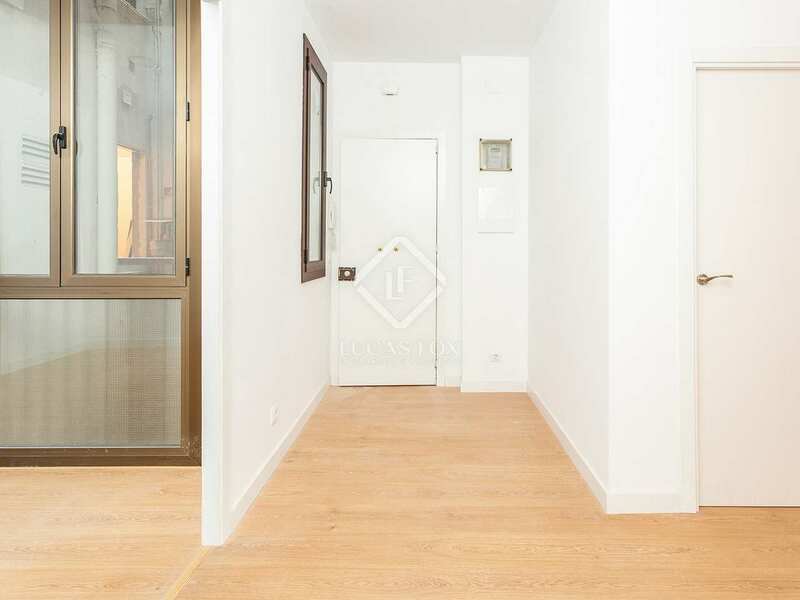 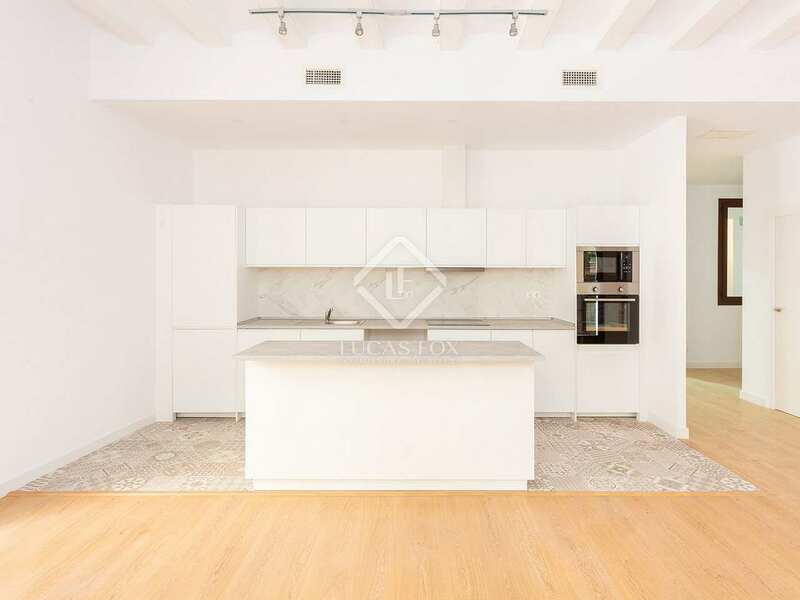 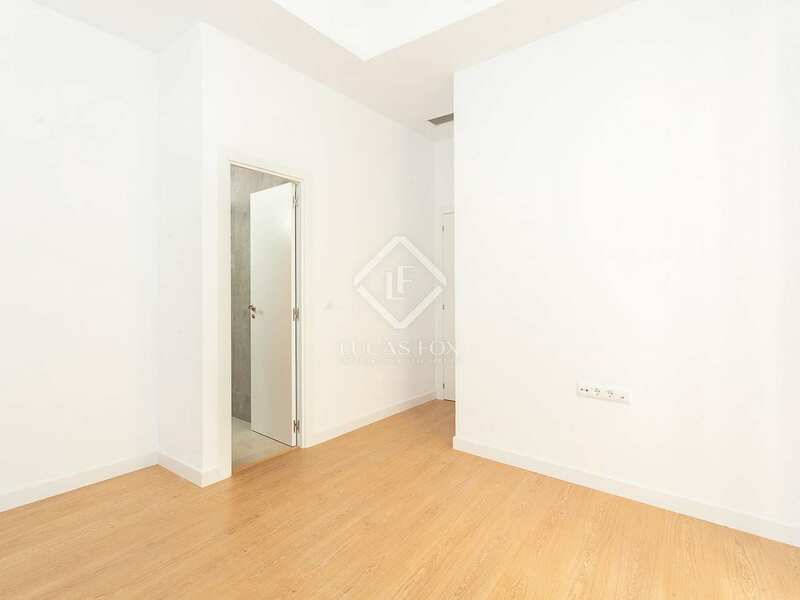 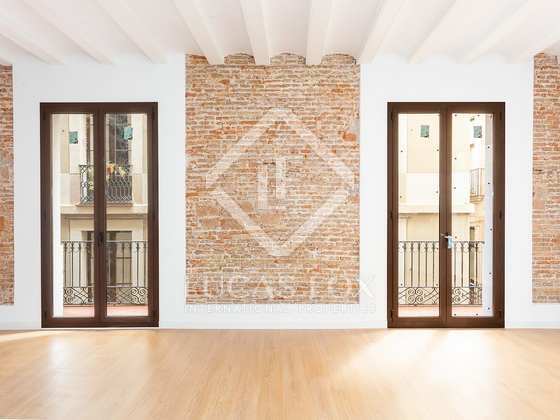 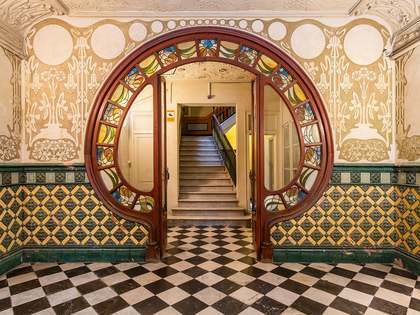 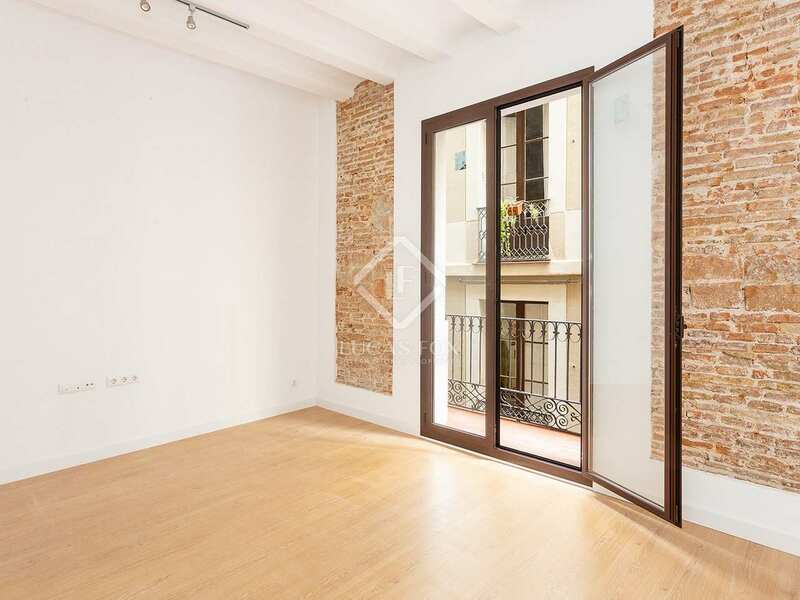 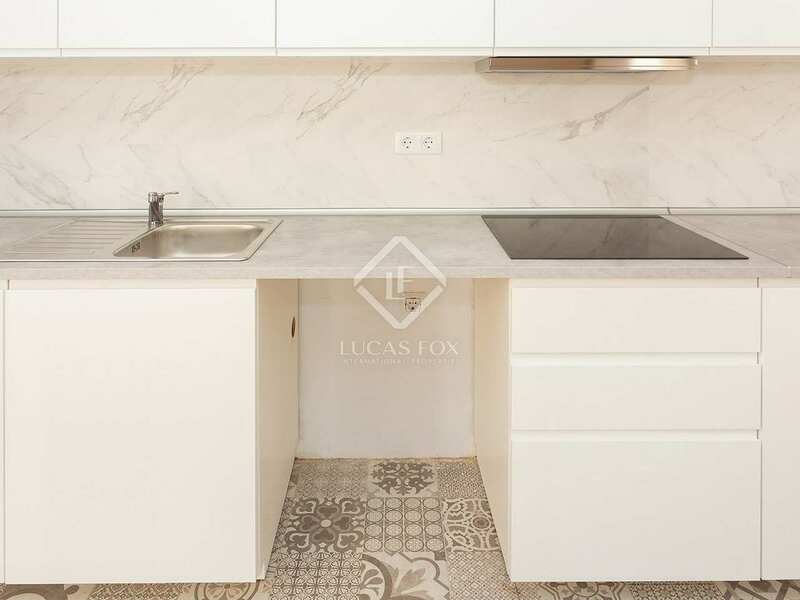 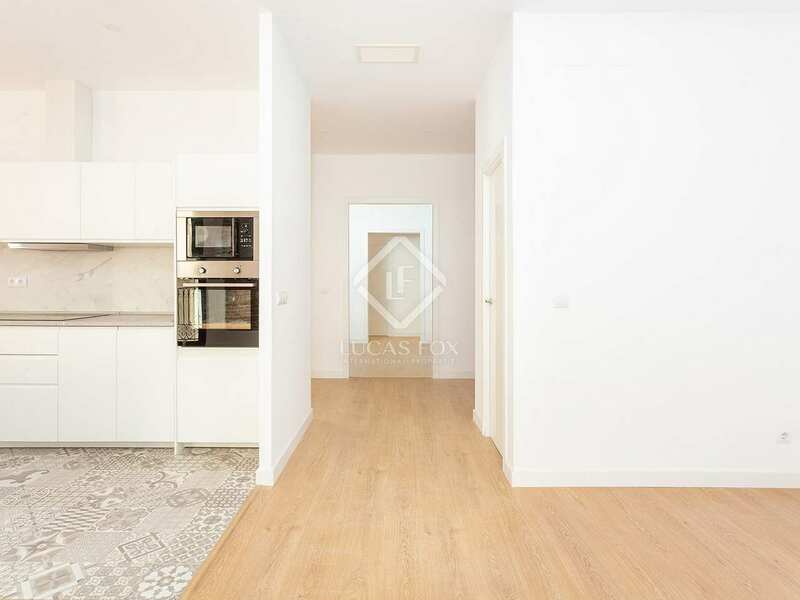 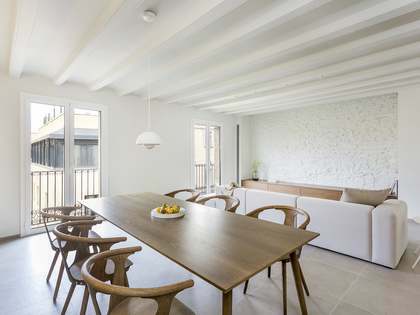 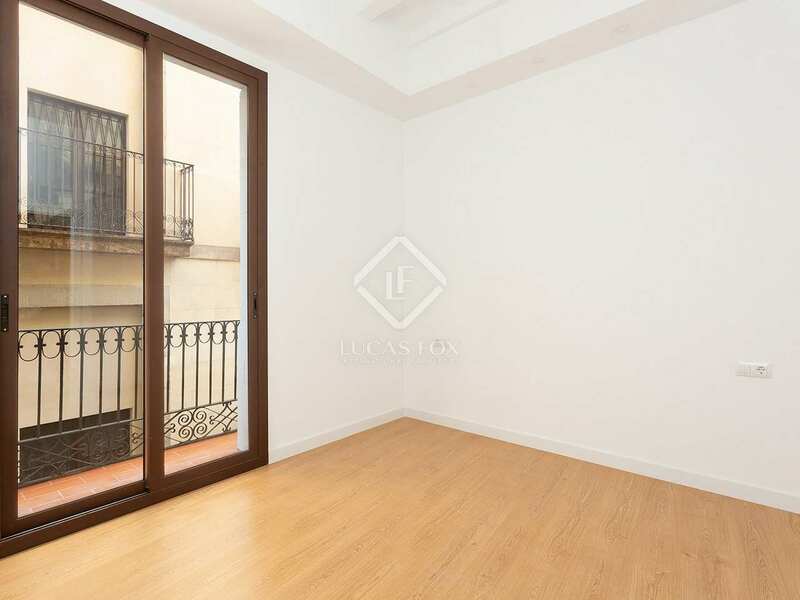 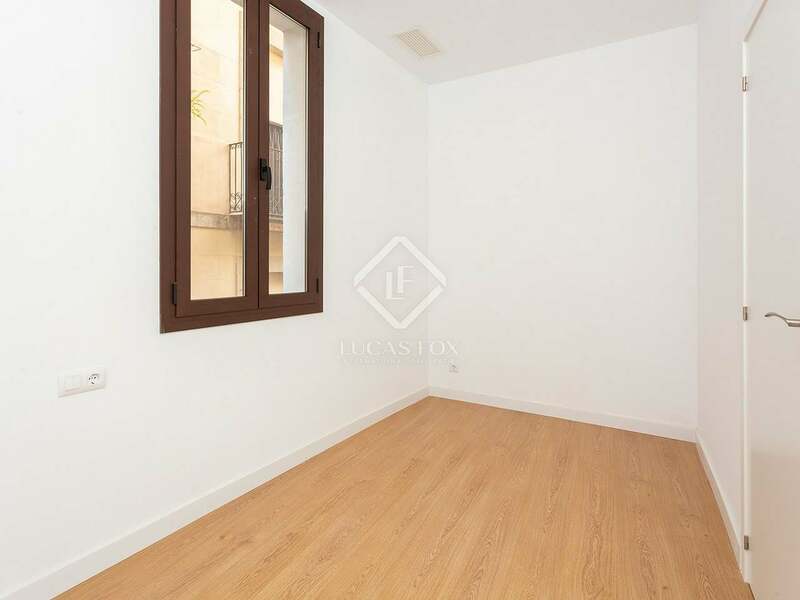 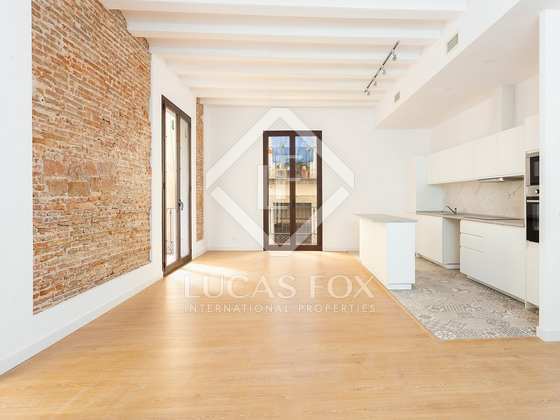 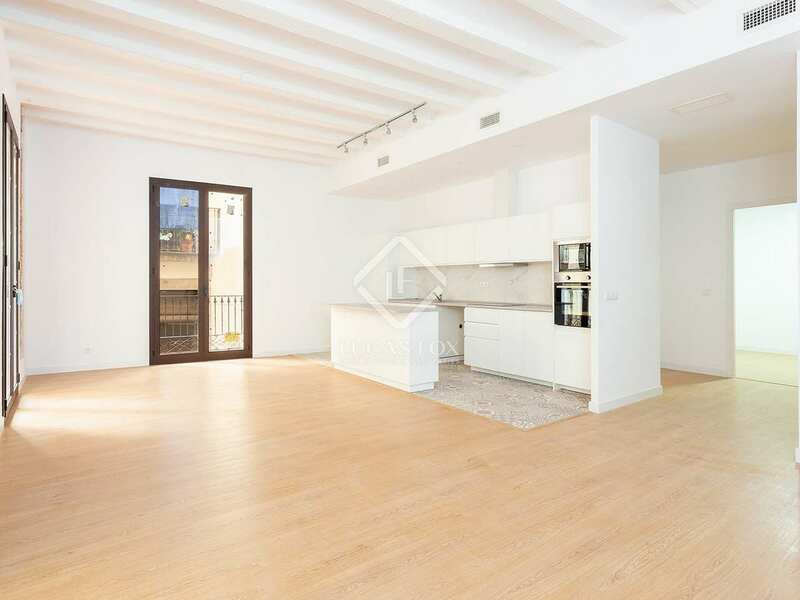 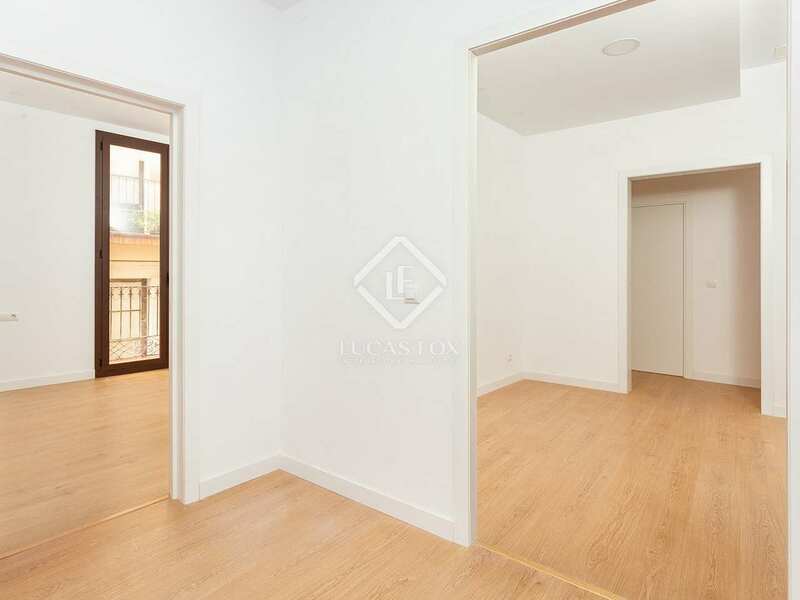 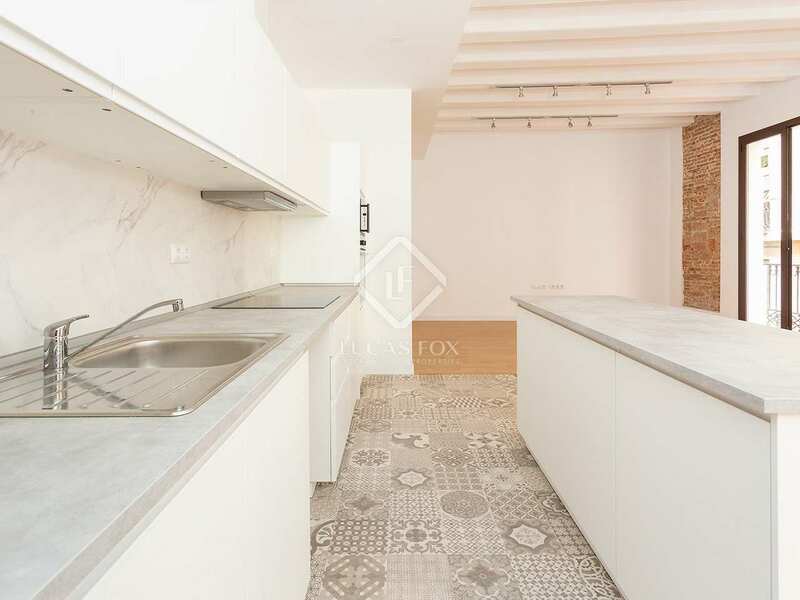 Located at the heart of the charming Old Town, this apartment for sale in El Born is ideally located to make the most of everything Barcelona has to offer. 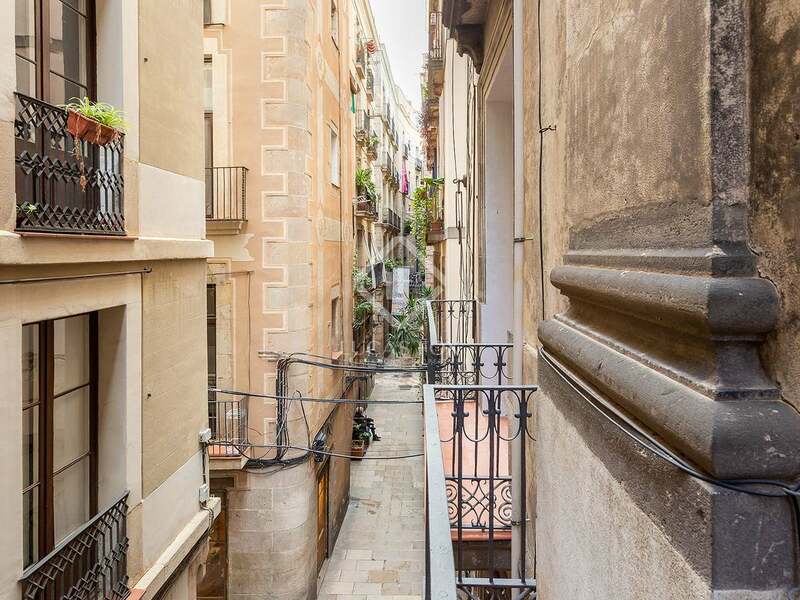 El Born, a vibrant neighbourhood with a wide range of restaurants, cafés and boutique shops, is a popular choice thanks to its proximity to the beach and excellent connections to the rest of the city. 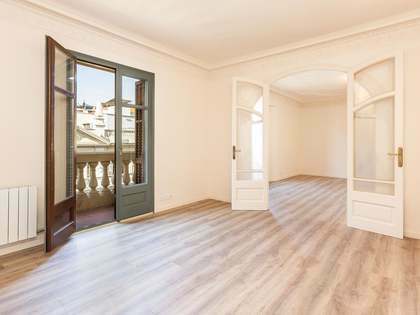 Dating back to 1900, the building within which the apartment has a lift and boasts beautiful restored original elements whilst the apartment itself showcases elegant interiors. 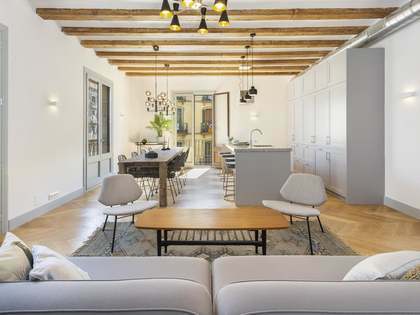 Features including exposed brick walls and wooden ceiling beams and wooden and tiled flooring, have been carefully combined with modern finishes to create a perfect blend between historical charm and contemporary design. 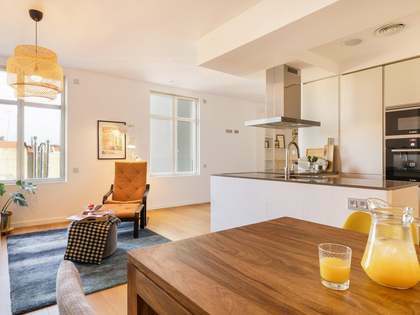 The living-dining area opens onto balconies, filling the space with light, and the open kitchen is fitted with top of the range appliances. 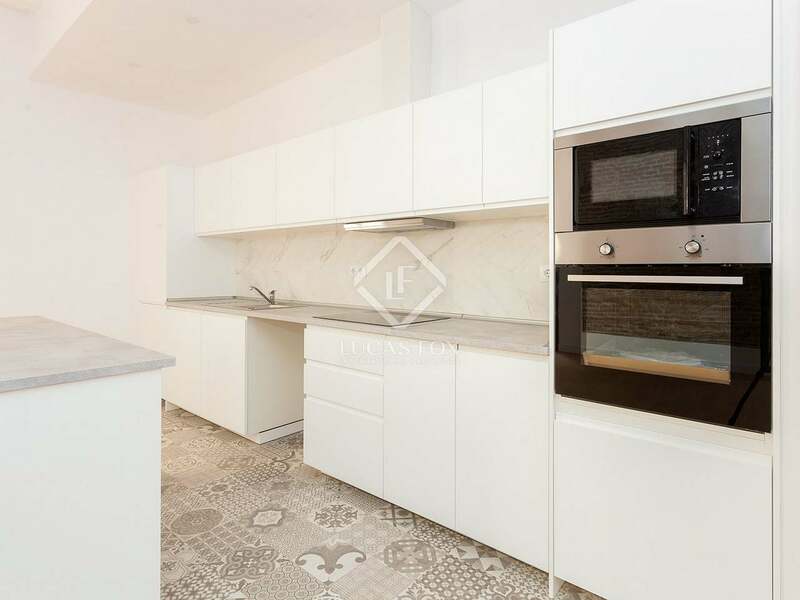 With 4 bedrooms and 2 bathrooms, the apartment would make an excellent city centre family home, of which the stand out feature is the private 63m² terrace on the rooftop with views across the surrounding area. 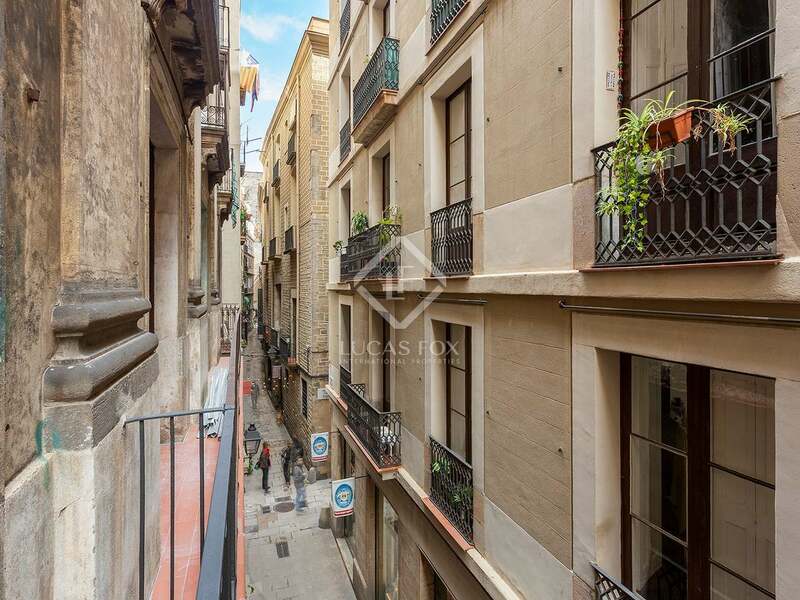 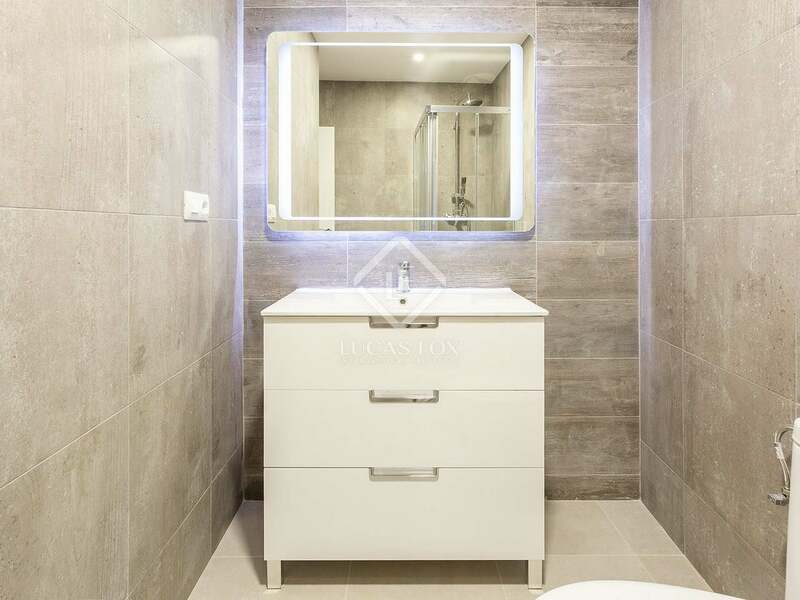 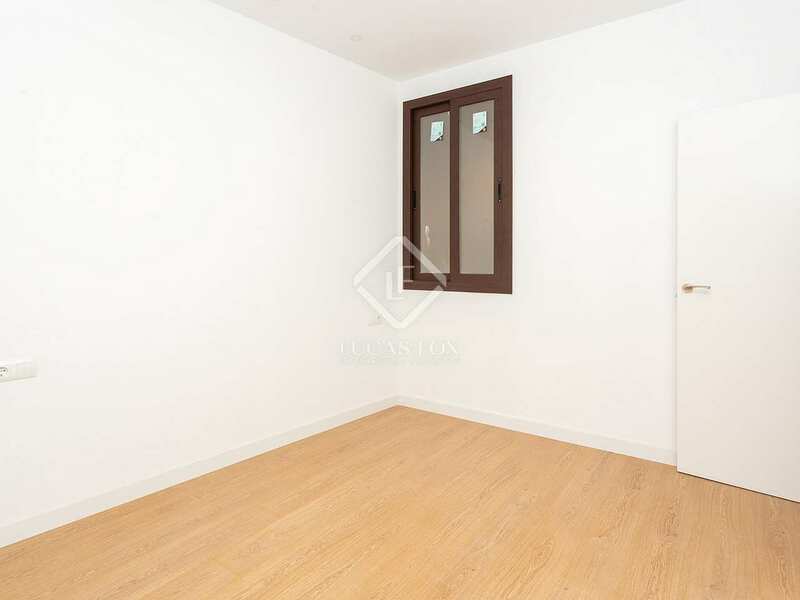 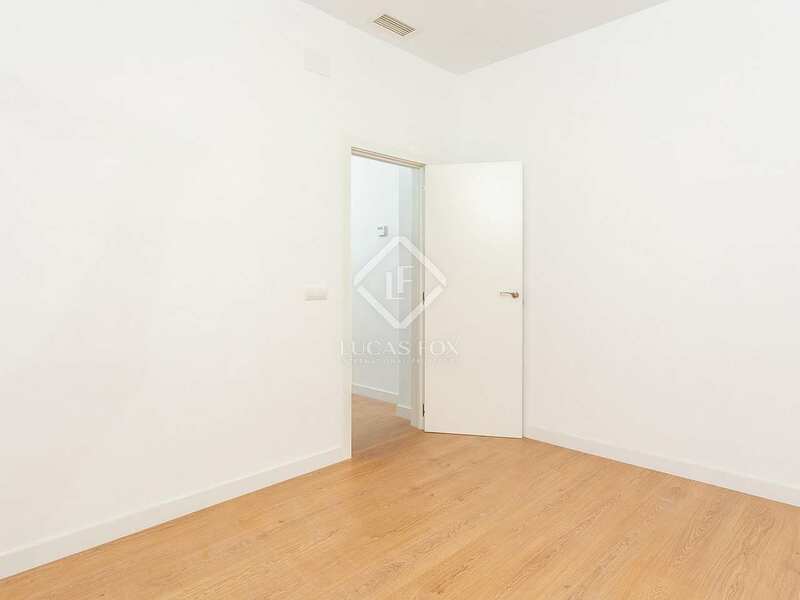 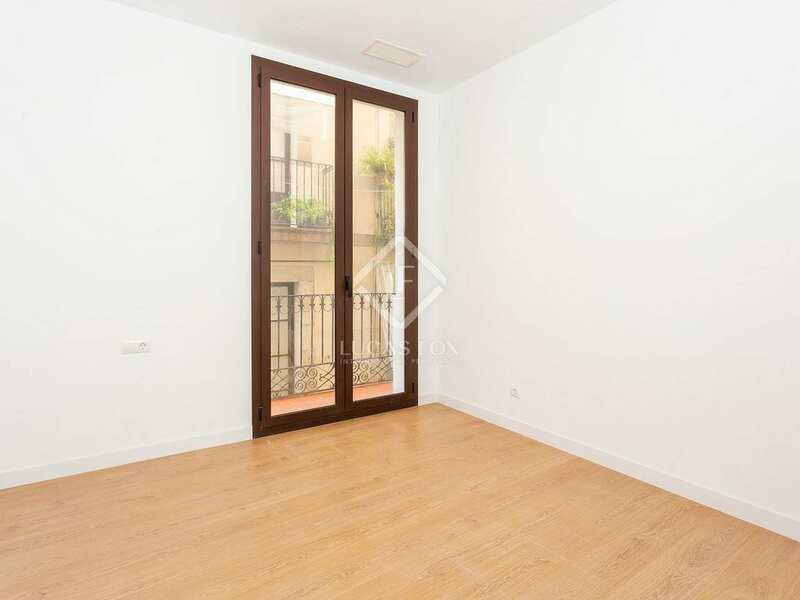 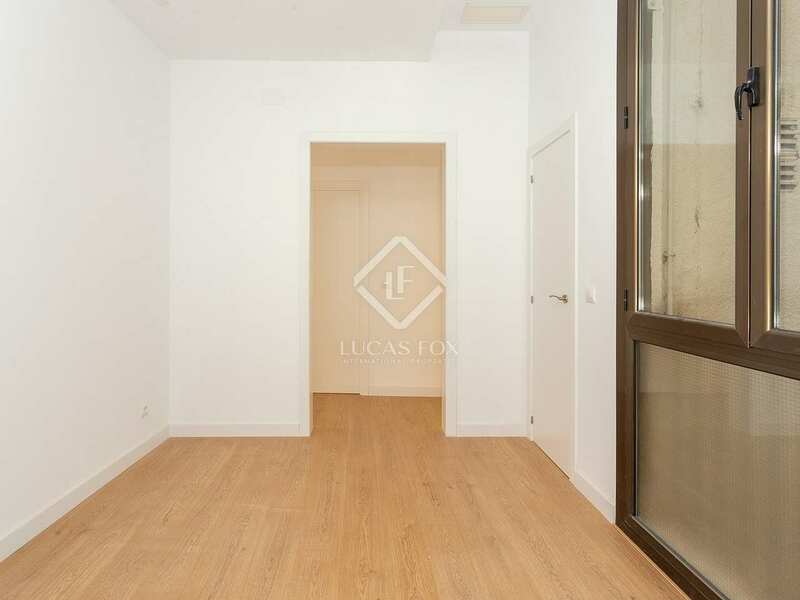 Contact us to visit this beautiful apartment in El Born.